Here are some of the highlights from Innovation Forum’s audio channel over the past few months. To subscribe to the Innovation Forum webinar and podcast stream on iTunes click here. 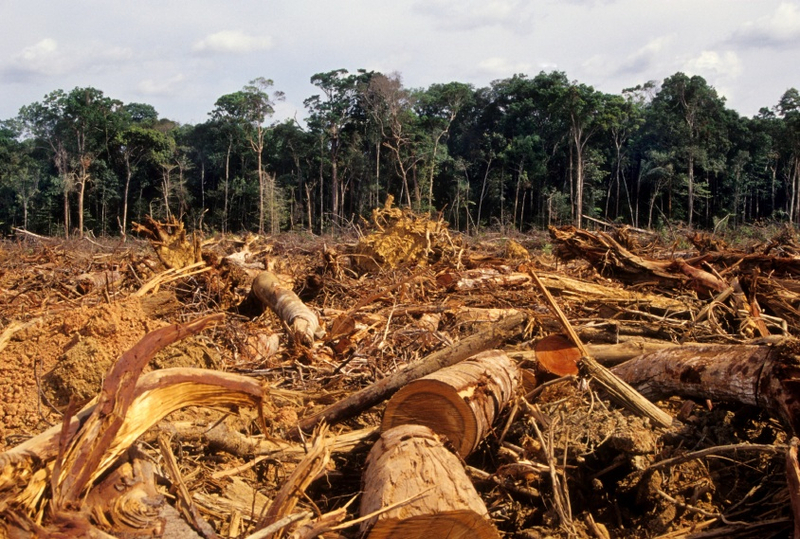 Business and deforestation – are companies going to meet their supply chain commitments? In this webinar, the findings from two new reports from Forest Trends’ Supply Change initiative and the Tropical Forest Alliance 2020 are discussed and debated. While there is growing evidence that companies are setting goals to manage deforestation within their commodity supply chains, analysis shows that much remains to be done to increase the momentum toward the necessary transformational action.These two new reports show how leading companies are working towards deforestation-free commodity supply chains. The webinar panellists include experts from TFA 2020, Supply Change, CDP, Unilever and Golden Agri-Resources. Could forced labour cost your company access to the US market? The legislative landscape around forced labour and modern slavery is changing and companies that are not engaging and tackling these issues in their supply chains may find themselves barred from some markets, particularly the US. The 2016 US Trade Facilitation and Trade Enforcement Act introduced restrictions on importation into the US of goods produced with forced labour, closing a loophole in the 1930 Tariff Act that allowed for importation of goods that may have had forced labour in the supply chain if US domestic production did not meet demand. Leading the debate in this Innovation Forum webinar are senior representatives from the US Immigration and Customs Enforcement, Department of Homeland Security, Trade Pacific Law and Thai Union. Panellists from Sime Darby, Golden Veroleum Liberia, TFT and Forest Peoples Programme debate the challenges of how to balance the rights of local communities, the responsibility to protect and preserve the environment and the need to ensure that business ventures remain viable. They discuss how companies and their advisers, NGOs, local communities and all levels of government should engage effectively to ensure sensitive development that is for the good of local communities, preserves vital ecosystems and benefits all stakeholders. TFT CEO Bastien Sachet talks with Innovation Forum’s Ian Welsh about TFT’s latest report – Palm Oil Transformation – and how, despite all the challenges and problems, there has been a transformation and accelerating improvement in palm oil supply chains since 2010, when Nestlé introduced its responsible sourcing guidelines. They discuss why transparency and trust have been crucial in the moves towards sustainable value chains, and why smallholder farmers need to be a central focus of the evolving solutions. Alan Johnson, senior operations officer at IFC, talks with Innovation Forum’s Toby Webb about capacity building challenges for smallholder farmers. These challenges are a major constraint to growth of the agriculture sector, and impact security of supply and traceability for big brands. Johnson explains why IFC believes that boosting the “professionalism” of smallholders, such as through improving access to finance and growing business management capability, is crucial for real impact at scale. Dr Christopher Stewart, Olam’s global head, corporate responsibility and sustainability, discusses with Innovation Forum’s Ian Welsh the company’s global operations, particularly in Gabon, and the challenges in developing sustainable agriculture plantations in forested areas that allow for local economic development at the least environmental impact. Winnifred Mailu, inclusive markets adviser – Africa, Christian Aid, outlines to Innovation Forum’s Ian Welsh why accessing markets is essential for smallholder farmers and how companies can help them to develop the necessary skills. Companies needs smallholder entrepreneurs to ensure supply security, and farming communities are increasingly seeing that there are real incentives to develop sustainably for long-term benefit. Hagen Duenbostel, CEO of KWS, a leading agricultural seed company, talks with Innovation Forum’s Toby Webb about genome editing, how it’s different from genetic modification, and what radical transparency makes sense for his company as they develop genome editing technology. Debate with leaders from the key stakeholder groups to deliver the most value to business delegates, including:Gangmasters Licensing Authority, Thai Union, Intel, Tesco, Next, Hilton, Greenpeace, IHRB, ILO, Unseen, Humanity United,and many more. Last chance! Final few passes are available here. Focusing on traceability, digitalisation, and innovation, leading brands will debate the latest opportunities for business in developing more sustainable apparel supply chains. With Kering, H&M Group, VF Corporation, Sustainable Apparel Coalition, CottonConnect, Made By, Inditex, Lindex, Value Added in Africa, Principles for Responsible Investment and many more expert speakers and panelists. For full details of conference passes, click here. At this two-day Innovation Forum conference, business experts will debate the latest tools, techniques and methodologies for placing a value on sustainability and safeguarding against future risk. Learn from Standard Chartered, BASF, Hermes Asset Management, Hilton, Danone, London Stock Exchange, ABN AMRO and more. Full details of conference passes available here. This event will help companies acquire the knowledge and management systems to address forced labour risks, comply with emerging law and help tackle forced labor globally. Join GEC, Marriott, Barrick Gold, EICC, the US Department of Labor, and many other experts. Full conference pass details available here.